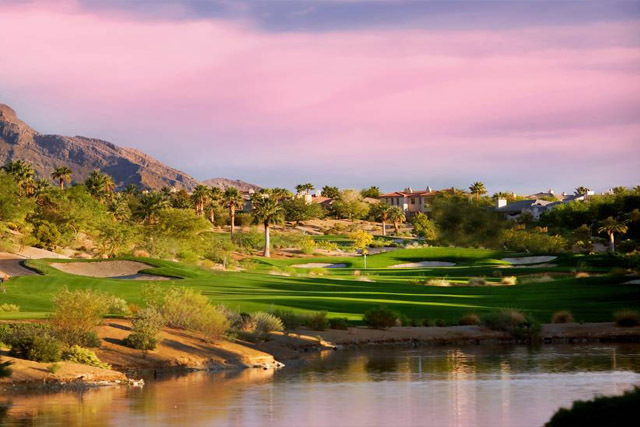 The ritzy Red Rock Country Club features the Arroyo golf course. This was designed in 2003 by the golf legend turned architect, Arnold Palmer. This club is a fan favorite merely because of its designer. 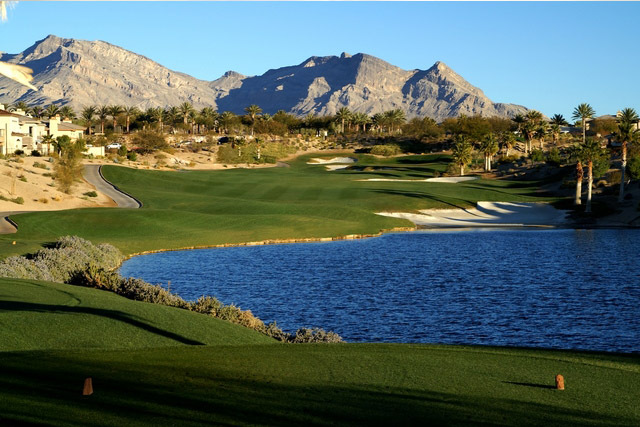 Every feature of Arroyo is laid out perfectly with the golfer’s needs and challenge levels in mind. 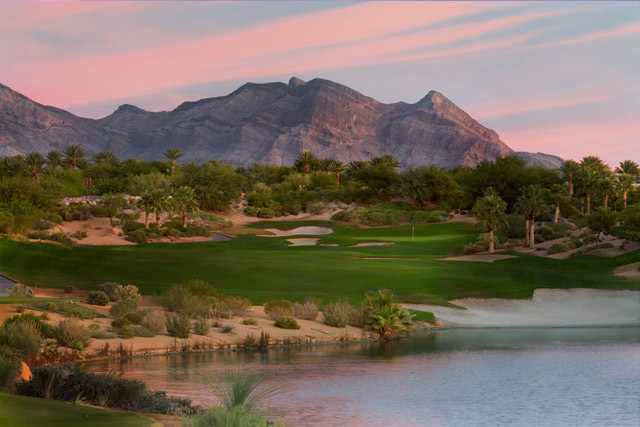 All are welcome to take the chance and play this course just to enjoy the beauty that abounds at the Red Rock Country Club. 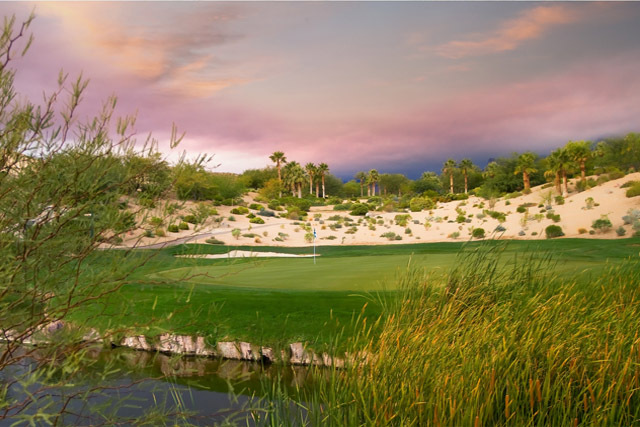 Arroyo is named perfectly as it blends in to the natural desert landscape, which surrounds and engulfs the course. The traditional golfing layout features bright, bent grass greens, plenty of challenges, and one of the top quality practice facilities. 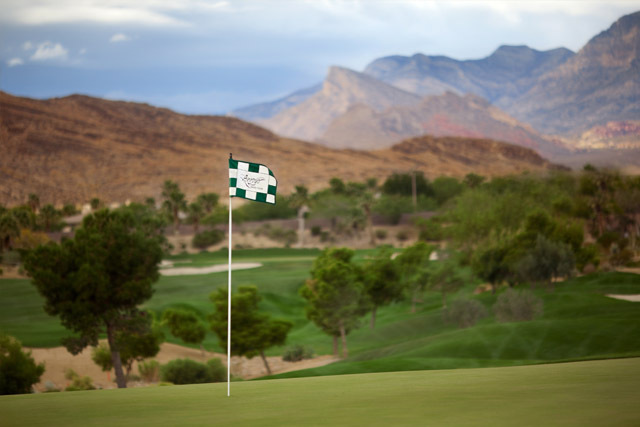 The convenience in the course only being 15 minutes from the Las Vegas Strip is also a benefit. The Red Rock Country Club has a restaurant and lounge as well as a driving range. Arroyo is 18 holes and is close to 7,000 yards. Driving range, Practice green, Restaurant, Lounge. One thing I like it here was that they had me take a different golf cart to the driving range. Beautiful scenery and good staff.